Currently, I am the Head Men’s Basketball Coach at Fort Scott Community College in Fort Scott, KS, which is about 1 hour south of Kansas City. I’ve been a Head Coach for 11 years and was a basketball player at the University of Missouri. On a annual basis, my teams maximize their athletic ability with a preseason, season, and offseason training program. I believe in placing your body in its natural alignment/mechanics to maximize athletic performance. Consequently, we strength train with mainly body weight type exercises (ex. Pushups, pull-ups, dips, etc.). In the past to increase a load on our body, we would hold dumbbells or hold medicine balls or have a partner apply force to us. 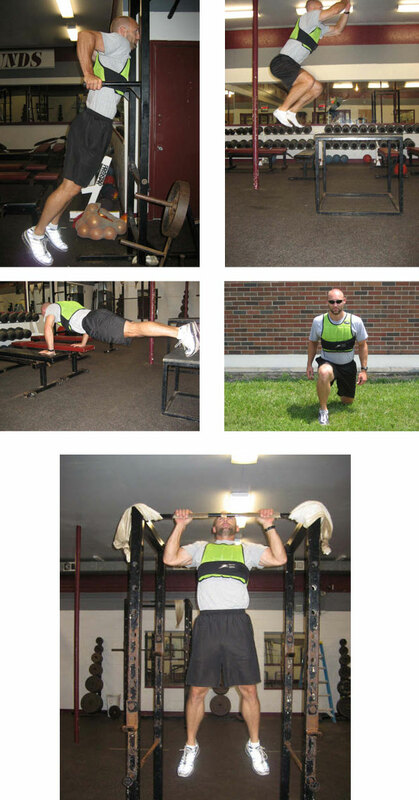 We started using the Ironwear Speed Vest with even better results. The Ironwear Speed Vest allows us to do all of our traditional exercises but forces us perform them with a higher intensity level without compromising natural body mechanics. I believe in maximum force output to increase explosiveness. The Ironwear Speed Vest has been incorporated into our plyometric training, speed training, skills training, and basketball playing. As a result of training with the vest, the performance level with the vest removed can easily be seen by others and felt by the user. Please feel free to contact me with any questions about our training style with the Ironwear Speed Vest.